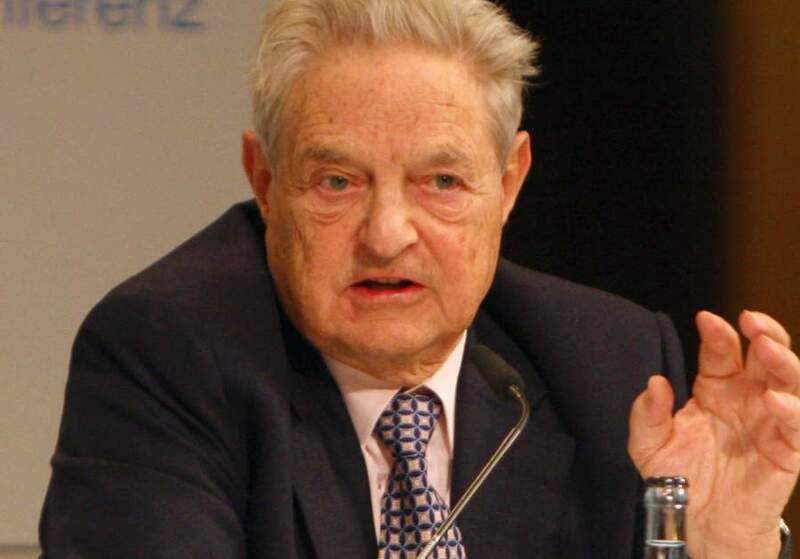 Writing about billionaire currency speculator and international leftist moneyman George Soros is always risky. Just coolly describing who the man is and what he does can make a writer sound like a crackpot conspiracy theorist. Soros is an obscenely successful capitalist who wants to destroy capitalism; a Jewish Holocaust survivor who funds Israel’s harshest, most unjust critics; an irreligious Hungarian citizen who wants to manipulate churches in America. Al-Haq: This NGO produces highly politicized reports, papers, books and legal analyses regarding alleged Israeli human-rights abuses committed against Palestinians. Catholics in Alliance for the Common Good: This political nonprofit group is dedicated to generating support from the Catholic community for leftwing candidates, causes and legislation. Malcolm X Grassroots Movement: This group views the U.S. as a nation replete with racism and discrimination against blacks. It seeks to establish an independent black nation in the southeastern United States, and demands reparations for slavery. Sojourners: This evangelical Christian ministry preaches radical leftwing politics. New documents from Wikileaks reveal that Soros has tried to suborn the political sympathies of Catholics in America. To do so, he hoped to tap into Pope Francis’ perceived political and economic views, via a leftist Central American cardinal who has made harshly anti-American and anti-Semitic statements, and aligned himself with allies of Fidel Castro. The globalization of the exchange of services, capital and patents has led over the past ten years to establish a world dictatorship of finance capital. … The lords of financial capital wield over billions of human beings a power of life and death. Through their investment strategies, their stock market speculations, their alliances, they decide day to day who has the right to live on this planet and who is doomed to die. The effects and consequences of the neoliberal dictatorships that rule democracies are not hard to uncover: they invade us with the industry of entertainment, they make us forget about human rights, they convince us that nothing can be done, that there is no possible alternative. To change the system, it would be necessary to destroy the power of the new feudal lords. Chimerical? Utopian? The Church decidedly bets on living the globalization of mercy and solidarity. So democracies like ours are ‘neoliberal dictatorships,’ which the Church will help reform through the ‘globalization of mercy and solidarity,’ that is, by helping governments to seize wealth from some people, skim its own share off the top, and distribute that wealth to others. Those ‘others’ will doubtless be grateful, as Hugo Chavez’s supporters were in Venezuela; indeed, they will form powerful voting blocs dependent on state redistribution of wealth, as directed by humble clergymen. It is unclear what concrete effects George Soros’s expenditures had on the progress of Pope Francis’ visit to America. We have no reason to think that Pope Francis, or even Cardinal Rodriguez-Maradiaga, had any knowledge of the financier’s involvement. But you don’t have to think very hard to wonder why Soros would consider Rodriguez-Maradiaga the ideal entry point for an effort to skew American bishops toward the political left. The two men have a great many views in common. Even if neither Rodriguez-Maradiaga nor George Soros existed, the leftward slide among many Catholics would still be a problem. There is ample home-grown support among Americans for the “Seamless Garment” doctrine that Cardinal Joseph Bernardin invented, which leftists have used ever since as a poison pill to kill off the pro-life movement. Leave aside elderly bankers and aging Liberation Theologians; there are Joe Biden and Tim Kaine-style Catholics honeycombed through Catholic universities and bureaucracies who wish to submerge our concern for unborn life and religious freedom in a sea of Progressive platitudes. There are leading U.S. bishops eager to carry their banner, like Chicago’s Archbishop Blaise Cupich. American Catholics who hold to the Church’s traditional social teaching, which elevates innocent life and human freedom, face a long and determined battle against the utopian forces who will ally with the pro-choice left to further their “long march” through Catholic institutions.